Perhaps you’ve seen the big inflatable rat downtown, or read the article published by the Daily Chronicle that explained the current union protest of John Pappas’ hiring of nonunion painters to finish the Cornerstone development project. The reporter didn’t say whether he confirmed nonunion hires, though the union seems sure. Legally there’s nothing wrong with hiring nonunion, as long as the developer pays prevailing wage since he is receiving public money for the project. A rep for the union has told me they are looking into potential prevailing wage issues. To be clear, if Mr. Pappas is using nonunion labor, it doesn’t automatically mean he is not paying the workers prevailing wage. However, since hiring nonunion is one way to save money, to me it’s a good enough reason to verify the payroll. In fact, as far as I’m concerned, we have three million reasons, the amount of the TIF development incentive, to verify that Mr. Pappas is satisfying the conditions of his contract with City of DeKalb. So he’s a bandit who bought a castle. Is this like the tv shows where the psychos leave little clues of their crimes? The imagination runs wild. The thing with bandits is that, by definition, they belong to gangs. This is more or less what we saw last night, with City of DeKalb enabling Mr. Barnes to return to council to grab more TIF money since his rehab job on the Castle, for which he obtained a development incentive of $400,000 last spring, has hit a snag. What’s the snag? Nobody anticipated that a 100-year-old building could have water damage and asbestos. No inspection was done, and no money for contingencies was set aside. It’s municipal malpractice, is what it is. But due diligence doesn’t matter, because the city checkbook is simply always open for Mr. Barnes. Y’all folks in the Third, Fifth, and Seventh wards have a year to find replacements. A hypothesis that the city has already secretly bought into a plan certainly fits with its top-down approach in the matter so far, and would help explain the exclusion of DeKalb Park District and other interested public bodies from discussions of the proposal. Anyway, there are a lot more of these emails. Coming mostly from the account of then-NIU vice president Bill Nicklas, they trace growing involvement of Nicklas and other public officials in private redevelopment and city rezoning issues from late 2012 through much of 2014. This business involved “Neighborhood 3” of the three neighborhoods identified collectively as Annie Glidden North (AGN), so our purpose is to look not only at how city players have operated generally, but also at how events in the past might be driving today’s behavior. 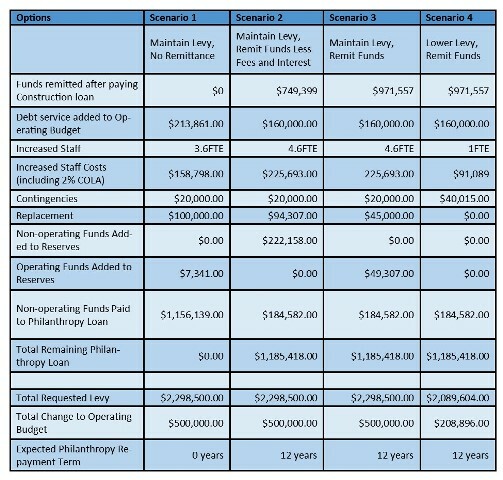 Several of DeKalb’s city council members balked at making financial or other commitments to the STEAM center project until they have in hand a thorough analysis of its most important source of funding, the soon-to-be-retired Tax Increment Financing (TIF) districts. Even the most worthy projects are subject to resource limitations, so a peek into the municipal wallet and thoughtful prioritization make good sense, and are probably the most important reasons to apply the brakes. But there are other reasons, too. Here are three of them. 1. It’s not our job. It’s not automatically the duty of the city to pick up the slack on an NIU project, especially one that NIU itself has decided it can’t spare a dime for. Public safety and infrastructure are supposed to be the names of our games, but now the consultant and administrators are broaching consideration of involvement in site selection, governance, even operations. Boundaries, people. 2. The push is premature. This is a top-down pet project headed by city administrators who have clearly done most of the work, and last week’s special meeting was clearly about hard-selling our new electeds into supporting it. But there is no sign of any corresponding surge in public support. No organization has stepped up to pledge financial support for its construction and operation. It’s an entirely backwards process, which bodes ill for fundraising efforts. If STEAM gets approved at this point, we will all get stuck with the bill. 3. The TIF goal is unclear. As proposed, the project tells us little about ROI, which in a TIF district means raising EAV in the district. In fact, at least initially it would do the opposite, by taking another large property off the tax rolls. I want to note that counil members David Jacobson and Michael Verbic have asked for financial analyses before (Verbic as a Financial Advisory Committee member), and they’ve been completely ignored in the past. The unified insistence on the TIF analysis is a welcome move, and I hope it means this council aims to reclaim its full authority in stewardship. Fingers crossed. In my last post, I explored how Tax Increment Financing (TIF) dollars for FY2016 were budgeted versus actual spending. This time I hope to explain the discrepancies, at least partially. TIF districts have their own budgets in their own funds that are separate from the city’s general operating fund called the General Fund. DeKalb currently has two active TIF districts/funds, TIF 1 (AKA Central Area TIF) and TIF 2. Did They Lie about How They Spent TIF? City of DeKalb budgeted $1 million for street reconstruction out of its FY2016 Central Area TIF District 1 budget, but actually spent less than $75,000 that year for all street work in the district, even though one official budget document indicates much more spending than that. Street construction/reconstruction budgeted: $1,000,000 Continue reading Did They Lie about How They Spent TIF? The Joint Review Committee usually meets in December or early January, so the annual meeting will be nearly four months late. There are honest people of good faith who belong to the Barb City Action Committee. There really are. However, it makes good sense to try to tease out the motives for any organized political action, especially one that launched itself out of nowhere and appears to have “shadow” members as well. Recently I donned my thinking cap, closed my eyes, and envisioned a pack of jackals snarling at each other over the remnants of a carcass. This is the image that occurs whenever I think about TIF projects being pushed for approval by the DeKalb city council as the TIF districts approach expiration.